Benefits for Skin and Hair! 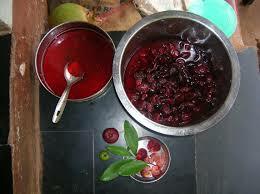 Kokum butter is obtained from the seeds of a fruit bearing tree, Garcinia Indica, grown in East India. The seeds contain approx. 26% Kokum oil. 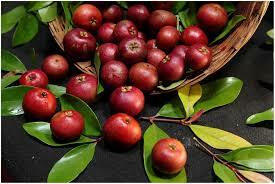 Kokum oil is light gray, yellow to red in color. Once processed, the butter is white/off white to yellow in color and remains a solid at room temperature. It is non-greasy with a smooth dense, dry, flaky texture. It has a slight nutty scent and is nearly odorless. It’s a stable, hard, vegetable butter and melts on contact with skin. It’s used for making skin and hair care products: cosmetics, toiletries, soaps, lotions, creams, body butters, salves, lipsticks, lip balms, conditioners, foundations, etc… Discover benefits for skin and hair! -- Rich in Essential Fatty Acids. -- High in Oxidative Stability. -- Can Substitute for Cocoa Butter. This butter has a 2 year shelf life, if stored properly. Store in a tightly sealed container. Store in a cool, dark, location away from heat and sunlight. Skin conditions that can benefit from this butter include: dry, dull, cracked, callused, rough, inflamed, pre-mature aged, fine lines, wrinkles, damaged, minor burns, eczema, scrapes, rashes, dermatitis, stretch marks, scars, sunburns, acne, spider veins, sensitive. CAUTION! Those with nut allergies should avoid using this butter. Are you looking for the best beauty tips? Learn how to look beautiful, naturally! Be sure to visit the homemade skin care page! HOW KOKUM BUTTER IS MANUFACTURED!